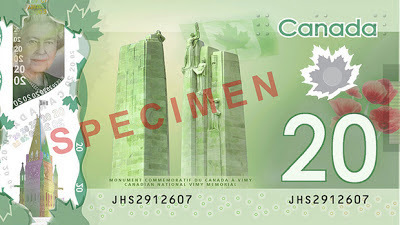 Canada's new $20 bill, 2012. Copyright: CBC. As reported by CBC Canada a little while ago, botanists in Canada have shown that the newly designed $20 Canadian bill, shows a leaf of the Norway maple (Acer platanoides), not the sugar maple (Acer saccharum). The white-silvery leaf on the bill above on the right side is the wrong species. Maple is the national tree of Canada, which has ten native species. The sugar maple is probably the most commonly known due to the production of maple syrup from sap collected in the spring and its fantastic red to yellow fall color. Norway maple, however, is a European species often planted in Canada and USA and that is now considered invasive in forests of North America. This mistake is like having a mallard duck instead of a turkey as your Thanksgiving decoration or main dish. Or buying a plum instead of a peach because you don't know the difference (both of those are in the same genus, just like the two maples). Click on the link to CBC above to read more. 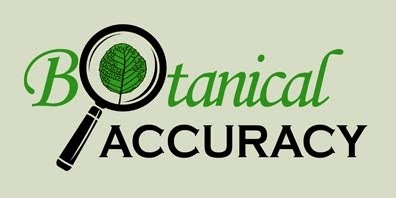 The Canadian government's excuse is not that great - and it would have been easy to ask a botanist and avoiding this mistake from the beginning. Even if botanists don't grow on trees, they are quite abundant. This post was updated on 28 January 2014 with some new information regarding Canada's national tree. Thanks MF for the additional information!